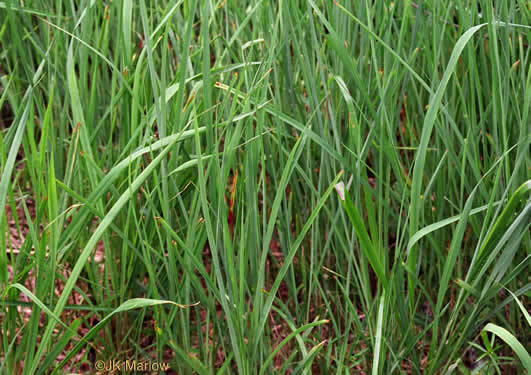 Your search found 78 image(s) illustrating the term "glaucous." 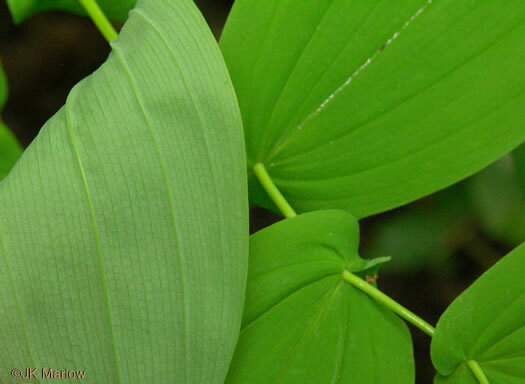 For a written explanation, click on "glaucous" in the Glossary. 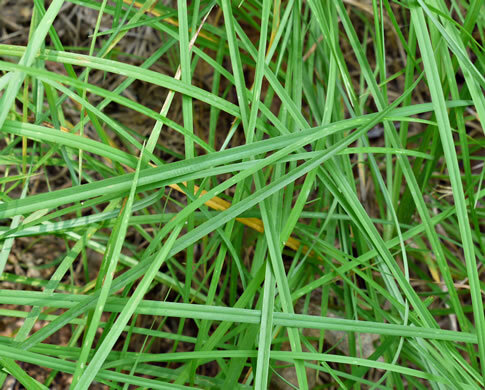 Green or glaucous, per Manual of the Grasses of the United States. 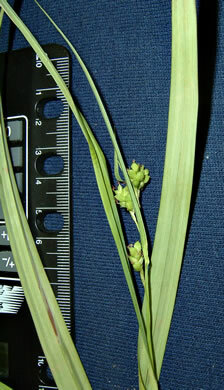 Stems solitary or in clumps; plant glaucous, glabrous, w extensive rhizomes, per Wildflowers of the Eastern United States. 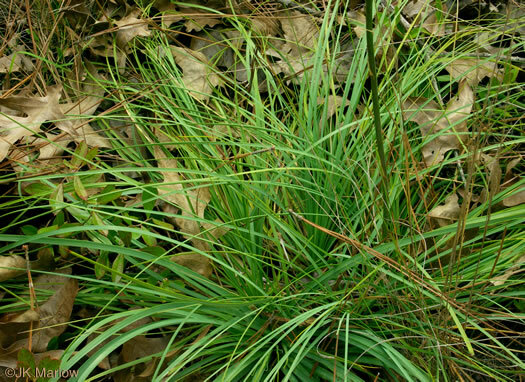 Plant bluish-green, tufted, erect, often glaucous. 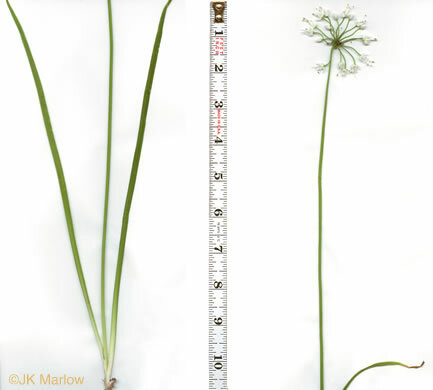 Lf blades ~ 0.2-0.4" wide, per Wildflowers of Tennessee. 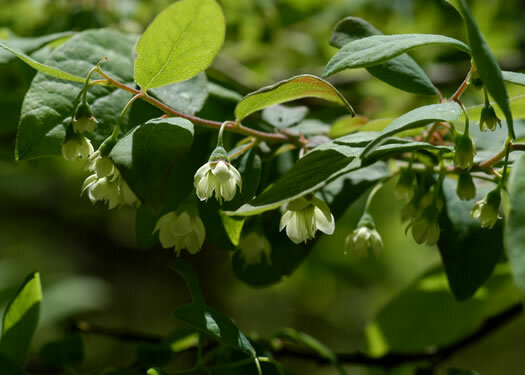 Leaves strongly glaucous, often nearly white with powdery wax, glabrous, per Weakley's Flora. 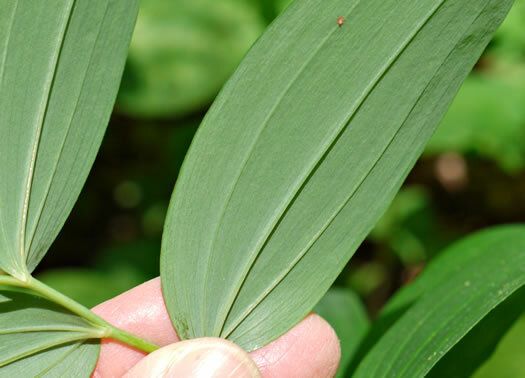 Leaf blades erect, ascending, or spreading, usually glaucous, per Flora of North America. 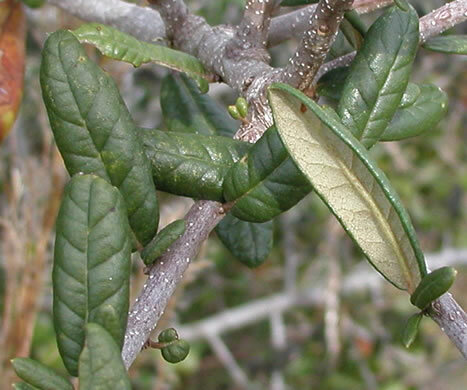 Leaf blades coriaceous, glaucous, 3-8mm wide, per Vascular Flora of the Carolinas. 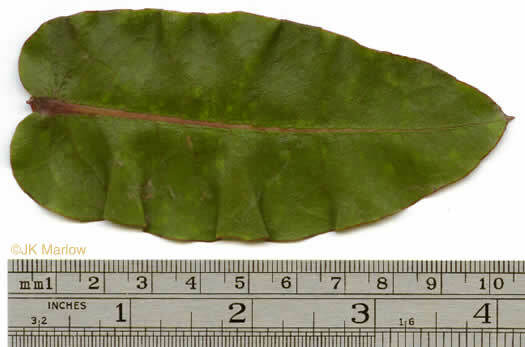 Leaf blades glaucous, widest blades 6.3-14.7 mm wide, per Flora of North America. 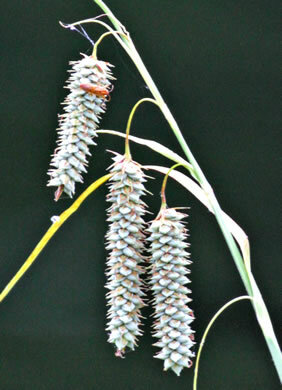 One of the few Carex species in Carolinas that are rather strongly glaucous, per Guide to the Wildflowers of SC. 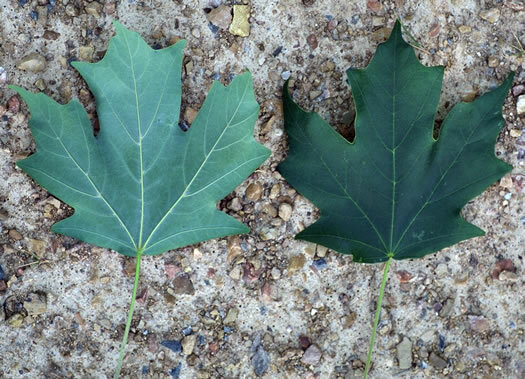 Leaves glaucous beneath at maturity (vs A. stewardsonii, acuminatum, pusillum), per Weakley's Flora. 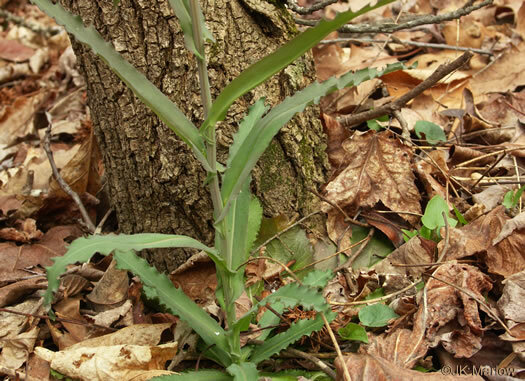 Leaves green beneath at maturity (very rarely glaucous), per Weakley's Flora. 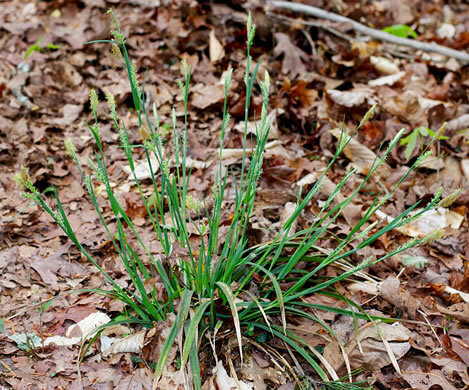 Leaves glaucous beneath at maturity, per Weakley's Flora. 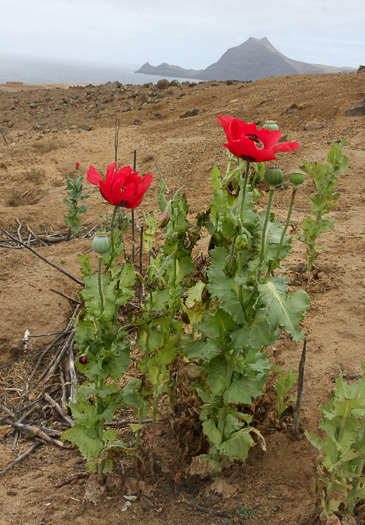 Plants distinctly glaucous, per Flora of North America. 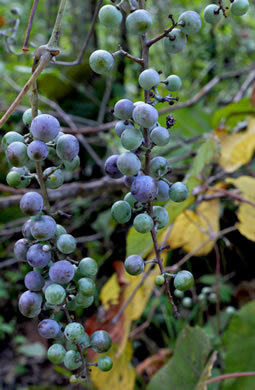 Fruit dark blue and glaucous, per Weakley's Flora. 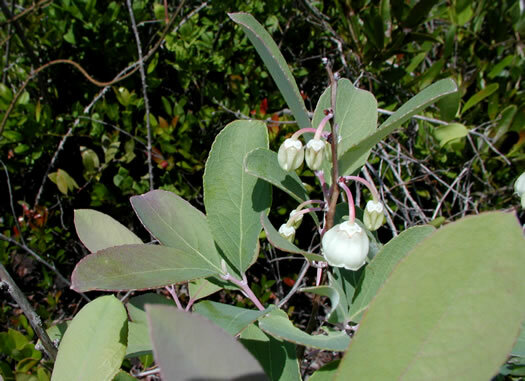 Leaves glabrous and glaucous beneath, per Weakley's Flora. 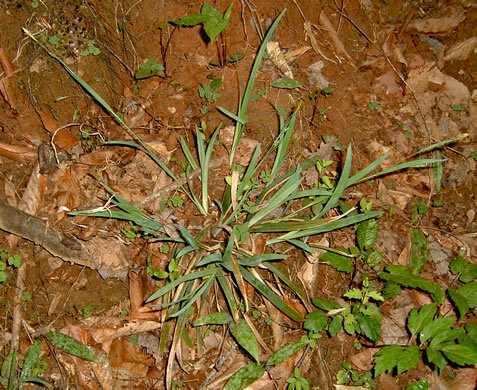 Leaves smooth and glaucous beneath, per Wildflowers of Tennessee. 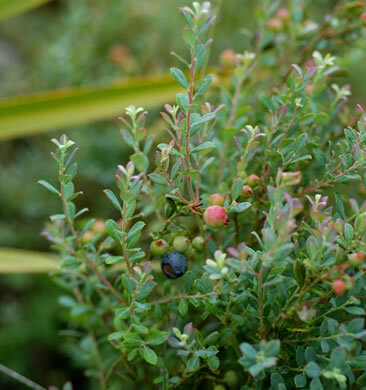 ...glaucous at least when young, margins entire or roughly minutely denticulate. 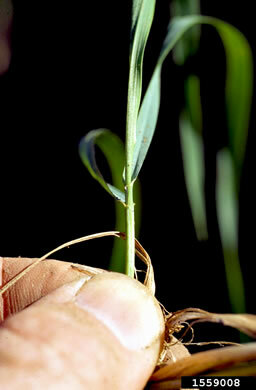 Leaf blades grasslike, flexible, 3-8mm wide, glaucous; margins serrulate, per Flora of North America. 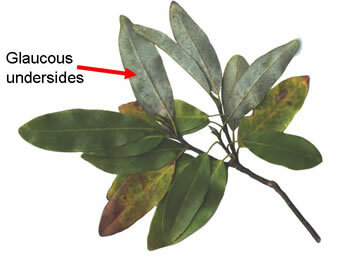 Leaves glabrous and often glaucous beneath, per Weakley's Flora. 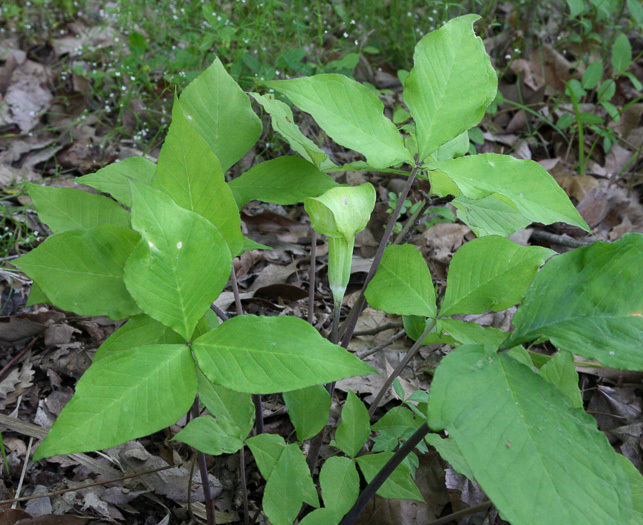 Leaves glabrous and glaucous, whereas grandiflora is usually pubescent beneath, per Vascular Flora of the Carolinas. 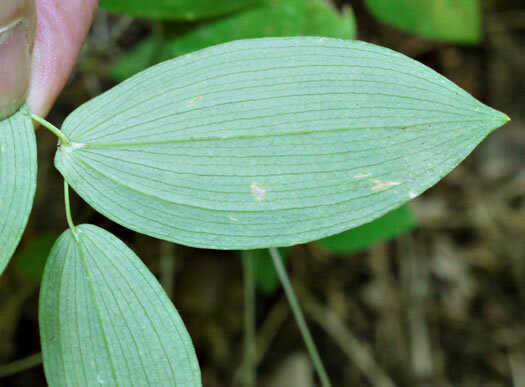 Leaves mostly basally disposed, glaucous, flat, to 16" long, 0.33" wide, per Wildflowers of Tennessee. 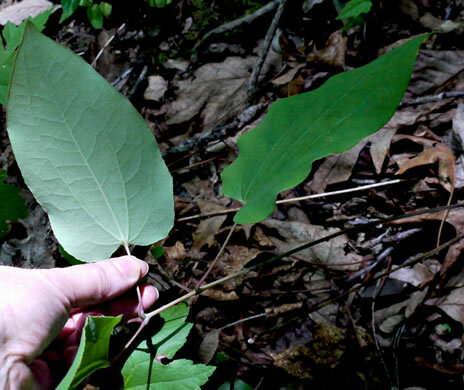 2 glaucous leaves, with petioles 2-7cm long, are present from April into June, per Vascular Flora of the Carolinas. 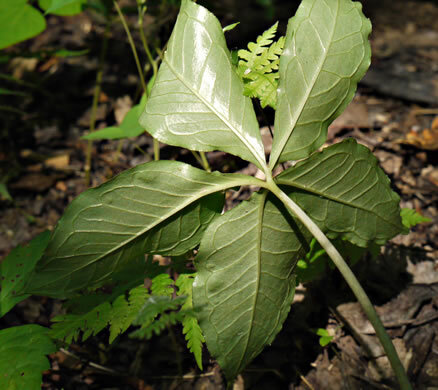 Leaves mainly basal, light green, smooth, glaucous, 4-8" long, per Wildflowers of Tennessee, the Ohio Valley, and the Southern Appalachians. 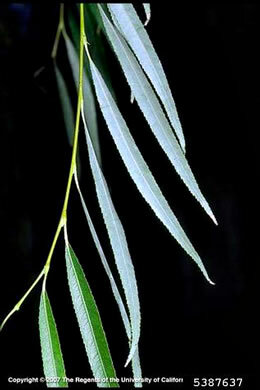 Leaves very narrowly lanceolate, glaucous and glabrate beneath, per Weakley's Flora. 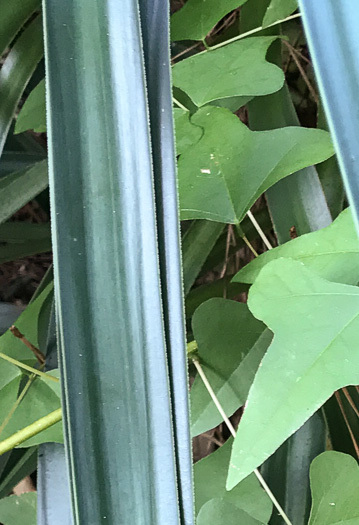 Leaves, likely widest of the willows, glaucous beneath, w revolute margins, per Trees of the Southeastern United States. 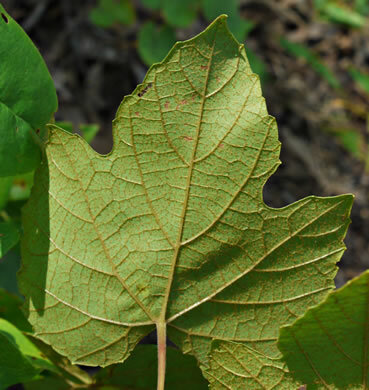 Leaf upper surface shiny green w impressed secondary veins, lower glaucous, per Field Guide to Native Oak Species of Eastern North America. 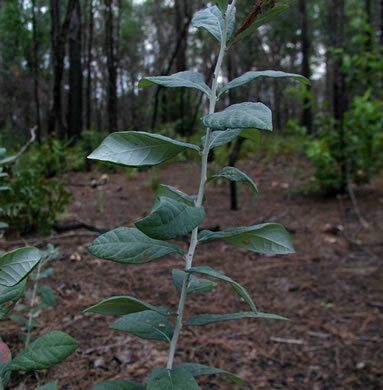 Leaves glabrous above, glaucous beneath, per Vascular Flora of the Carolinas. 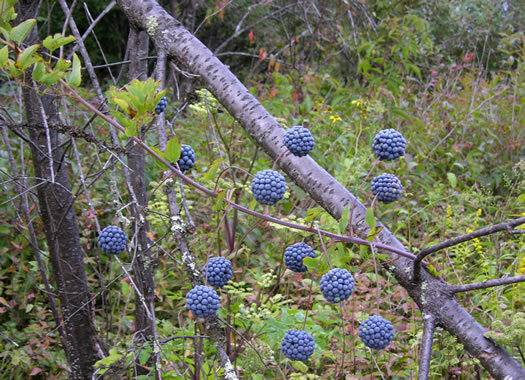 Glaucous, bluish-black, 1/3" long oval fruits persist into fall, per Manual of Woody Landscape Plants. 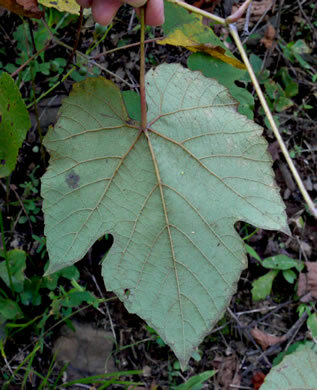 Leaf often glaucous beneath, per Vascular Flora of the Carolinas. 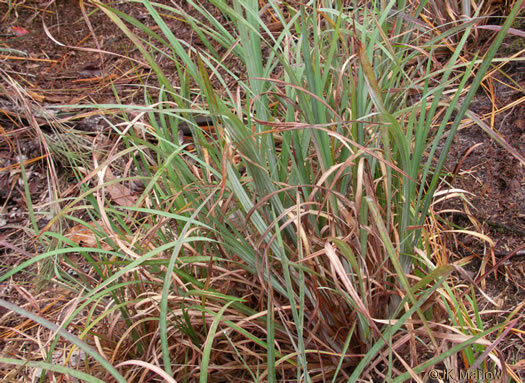 Plant glabrous glaucous; [upper] leaves clasping, coarsely irregularly dentate, per Vascular Flora of the Carolinas. 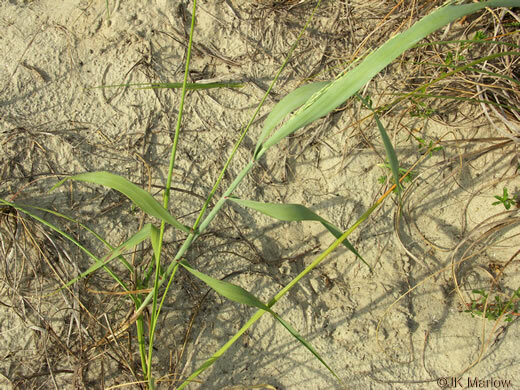 Plant glabrous, often glaucous, per Vascular Flora of the Carolinas. 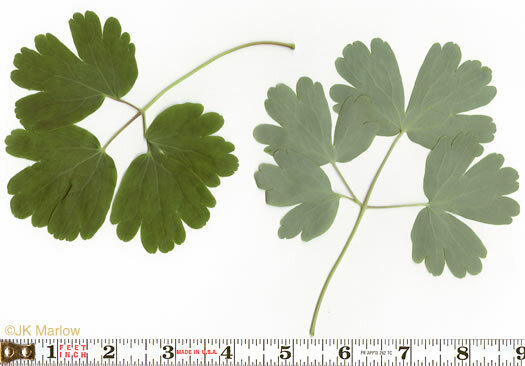 Leaves pale green or bluish-green, sometimes with a glaucous coating, per Weakley's Flora. 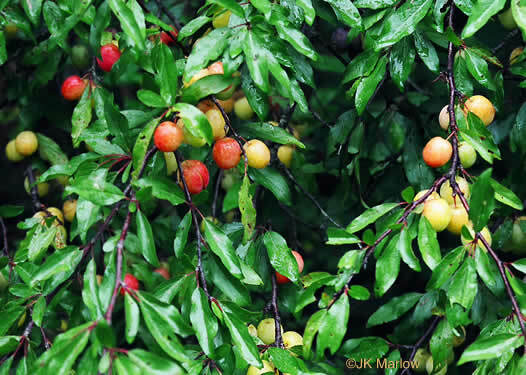 Fruit a glaucous yellow or red drupe, nearly round, 1/2"-3/4" across, per Native Trees of the Southeast, An Identification Guide. 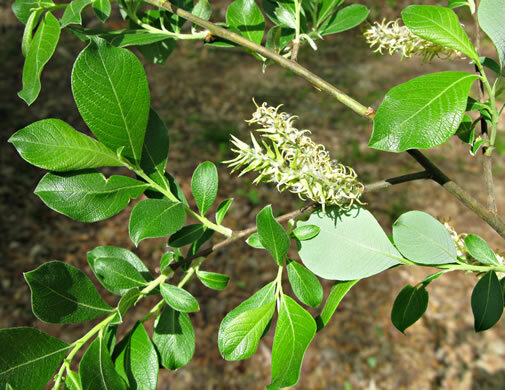 Leaflets glaucous beneath, per Trees of the Southeastern United States. 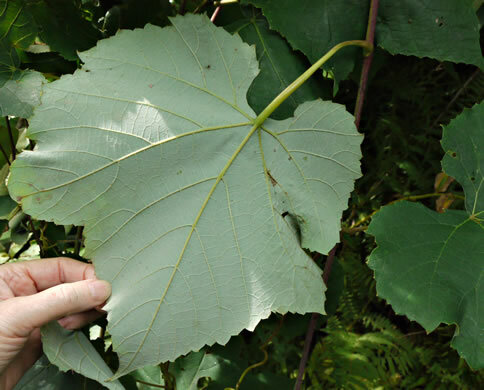 Leaf undersurface pale, silvery-gray, or strongly glaucous, usually pubescent, per Weakley's Flora. 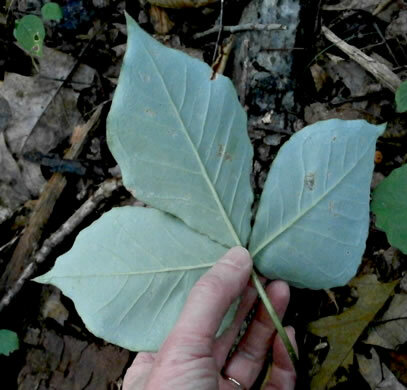 Leaves variably pubescent beneath, but (unlike A. barbatum) not glaucous, per Native Trees of the Southeast, An Identification Guide. 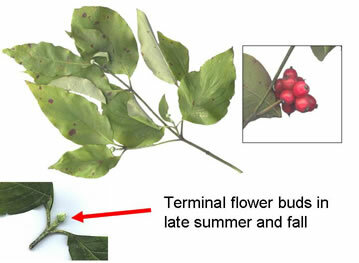 Mature leaves glaucous beneath (tho sometimes rather obscured by pubescence), per Weakley's Flora. 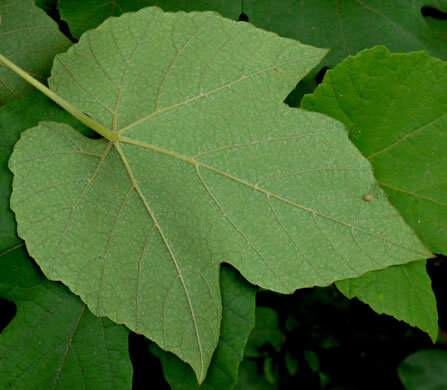 Lower leaf surface glaucous, pubescence white to more commonly rusty orange, per Upper Canopy Collection and Identification of Grape Vines (Vitis) from Selected Forests in the SE US (Everhart, 2010). 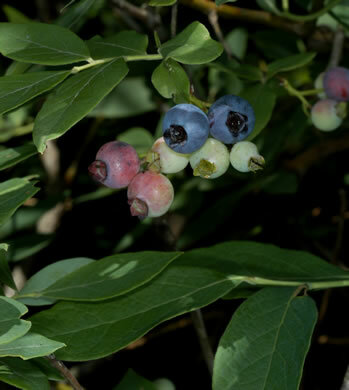 Fruit 1/4"-3/8" in diameter, blue-black [at maturity] with glaucous bloom, per Woody Plants of the Blue Ridge. 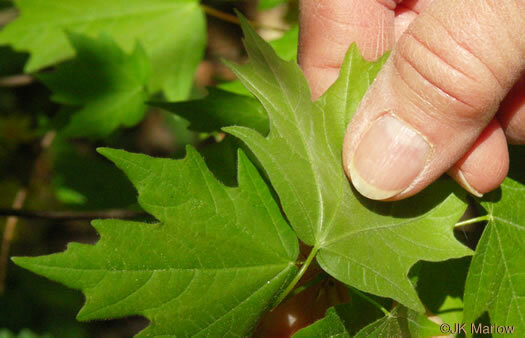 Lower surface glaucous w arachnoid, floccose, whitish to rusty pubescence, per Upper Canopy Collection and Identification of Grape Vines (Vitis) from Selected Forests in the SE US (Everhart, 2010). 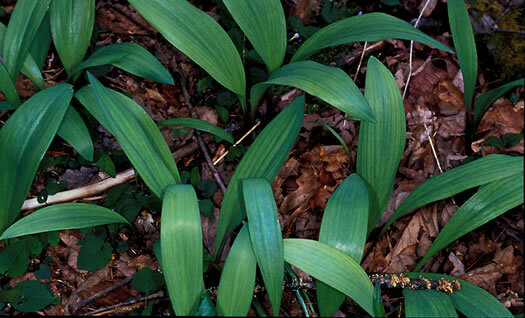 Mature leaves glaucous beneath and glabrous to glabrate beneath, per Weakley's Flora. 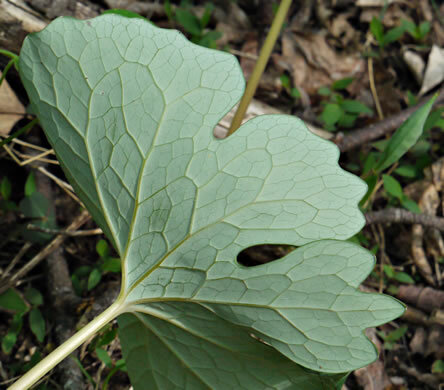 Leaves glaucous, oblanceolate, > 4" long, pinnately veined w wavy margins, per All About South Carolina Wildflowers. 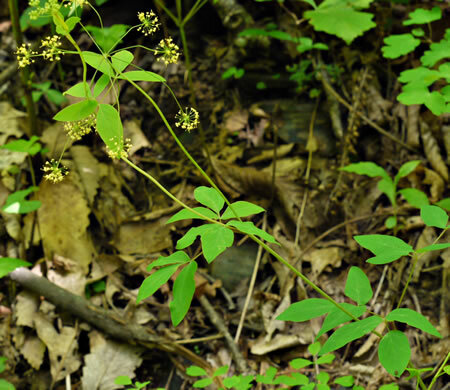 A smooth, often glaucous, branched perennial 16-32" tall, per Wildflowers of Tennessee. 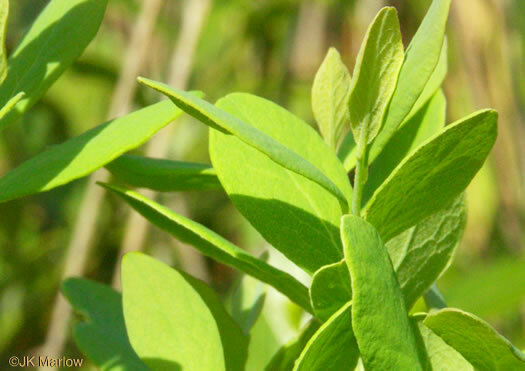 On some plants, leaves are conspicuously glaucous with a bluish-white cast, per Atlantic Coastal Plain Wildflowers. 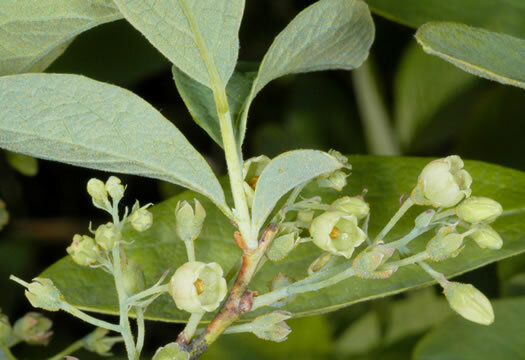 Leaves subcoriaceous, yellow-green to glaucous, w obtuse to emarginate apices, per Weakley's Flora. 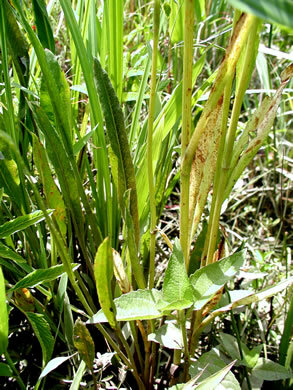 Leaves glabrous or pubescent beneath, often glaucous, per Weakley's Flora. 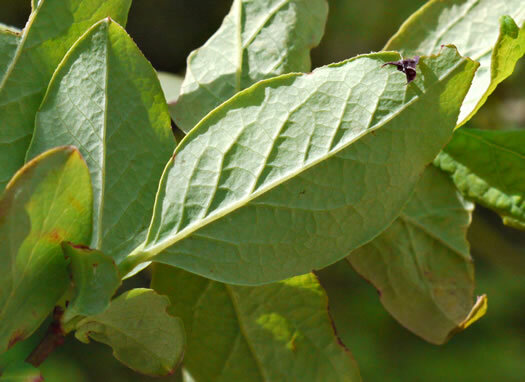 Leaves green beneath, often slightly paler but not at all glaucous, per Weakley's Flora. 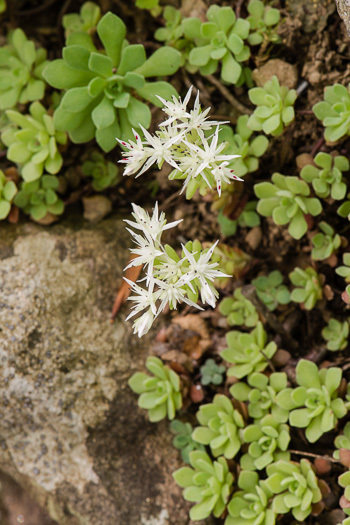 Leaves strongly white-glaucous underneath, per Weakley's Flora. 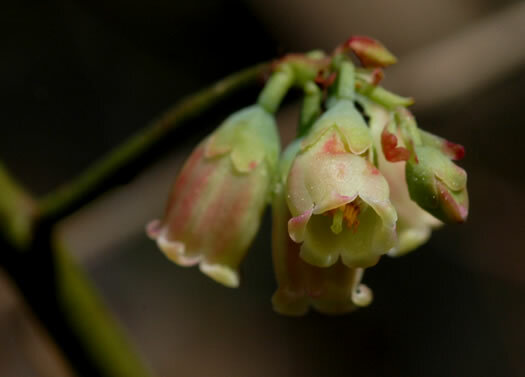 Calyx and corolla glabrous, often glaucous. 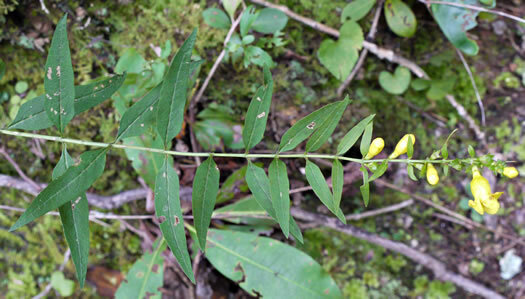 Calyx lobes acute, per Vascular Flora of the Carolinas. 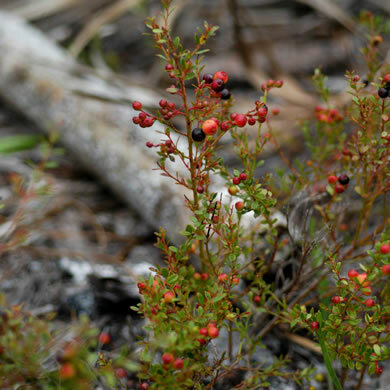 Berry glaucous, blue, 5-10mm long, juicy, per Vascular Flora of the Carolinas. 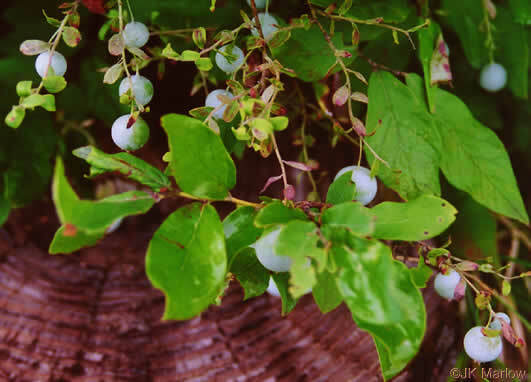 Fruit blue, with glaucous bloom, per Woody Plants of the Blue Ridge. 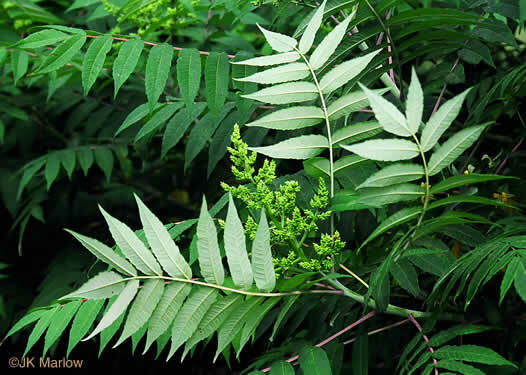 Erect shrub 2-6dm tall, rhizomatous. 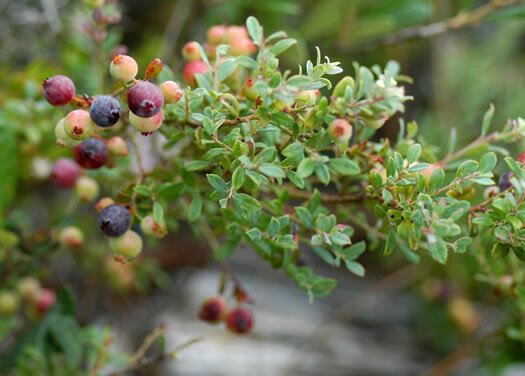 Berry black or glaucous blue [when ripe], per Vascular Flora of the Carolinas. 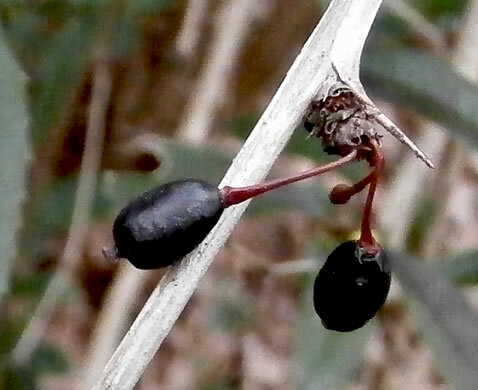 Fruit glaucous, blue, and only 4-6mm in diameter, per Native Shrubs and Woody Vines of the Southeast. 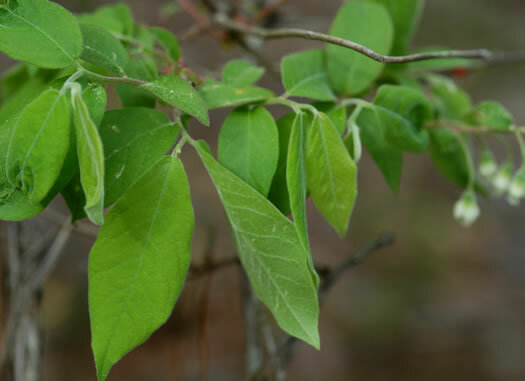 Leaves markedly glaucous and bluish-green, lacking stalked glands beneath, per Native Shrubs and Woody Vines of the Southeast. 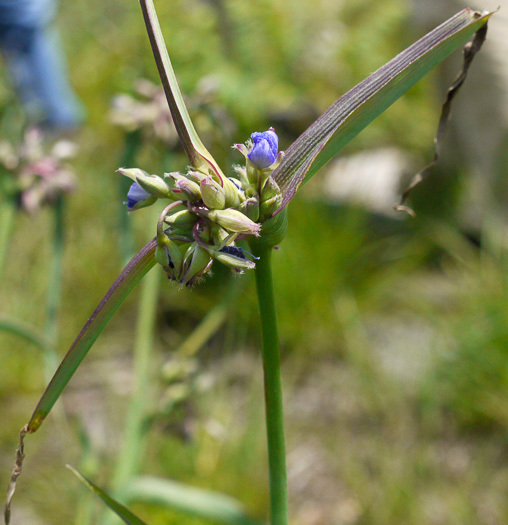 The stem is smooth and green; it is not glaucous, per Wildflowers of the Southern Mountains. 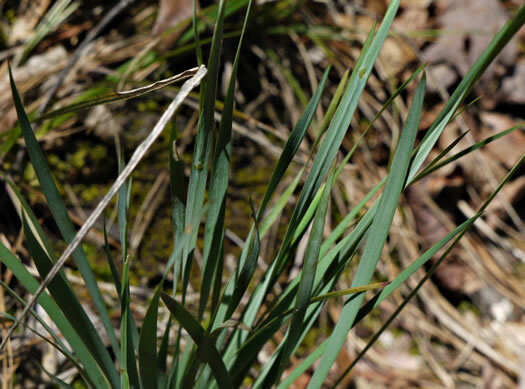 Your search found 78 image(s) illustrating the term "glaucous." You are on page 1.